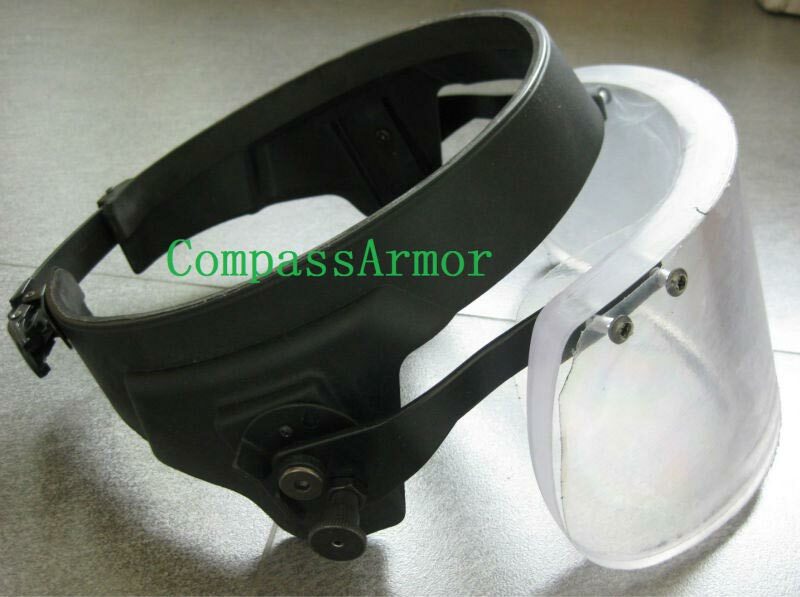 Bulletproof Visor for Helmet (BPVI-01), offered by us, is highly durable and is known for providing proper protection to the wearer. It comes with ballistic face shield. We are reckoned among the renowned Manufacturers, Exporters and Suppliers of Bulletproof Visors & Helmets. We have a well-equipped production unit that enables us to produce Bulletproof Helmets Visors in bulk at a time. We have the capability to deliver retail as well as bulk orders for the helmet within the promised time frame. The Global Armour PASGT helmet come with Ballistic Face Shield make full coverage proteciton for Soldier, Police. Overview : The Global Armour PASGT (US Personal Armour System Ground Troops) helmet come with Ballistic Face Shield make full coverage protection for Soldier, Police. the face shield is demountable, easy installed and quickly removed. High ballistic performance with low weight, using high-tenacity ballistic PE fiber. Protection area: 0. 14 sq. M.
Net weight: 1. 45 KG / pc. Overpass NIJ standard level NIJIIIA to meet ballistic performance at 1640 fps (500m/s) minimum.